Founded in 1996, Bendistillery began with a vision of reviving handcrafted American Gin and Vodka. Several years later they have become an award winning craft distillery. 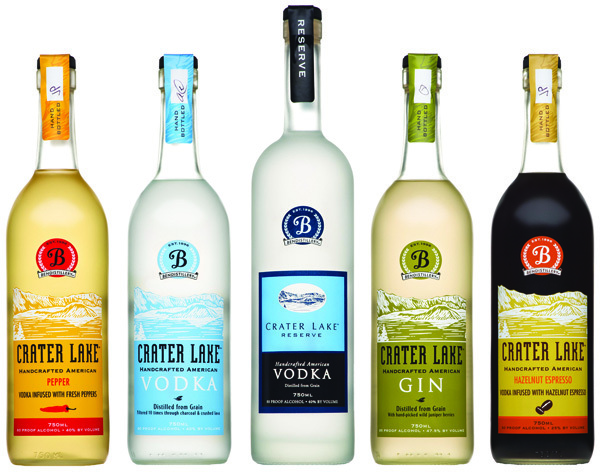 With a promise to use only the freshest ingredients, Bendistillery launched Crater Lake Gin and Vodka. Crater Lake vodka is crafted with water from the Cascade Mountains. The vodka is distilled 10 times and is known to be one of the smoothest in the world. The trick to creating Crater Lake vodka is infusing it with sweet and hot peppers to give it both sweetness and spice. Crater Lake gin is 95 proof and infused with juniper berries after the distillation process. These berries, combined with the fresh water from the Cascade Mountains, help to give this gin a crisp flavor. If you’re into entertaining, be sure to try out the following recipes created by Bendistillery Sampling Room – Bend, Oregon. Combine all ingredients in a coffee mug, nudge glass or wine glass. Top with whipped cream and chocolate shavings. Combine all ingredients in a coffee mug, nudge glass or wine glass. Top with whipped cream or heavy cream.